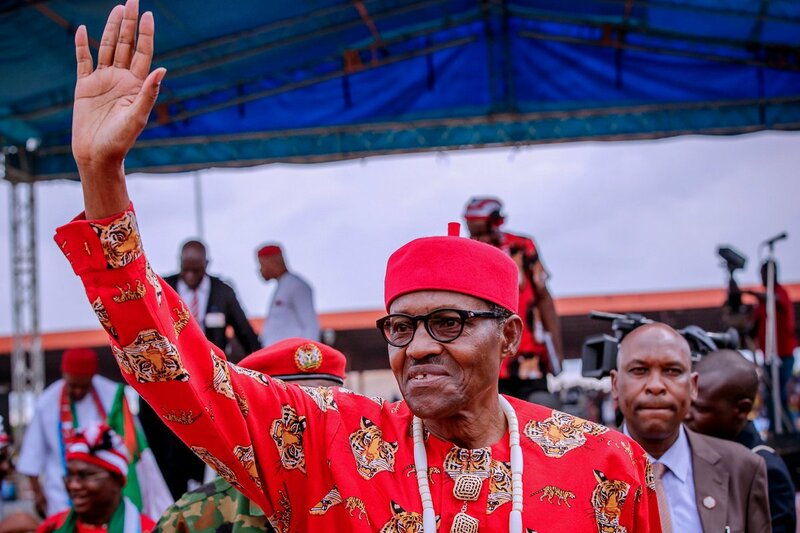 David Umahi, governor of Ebonyi State, has said but for his 2,000 crowd he provided to welcome President Muhammadu Buhari in his domain, the president would have met an empty stadium during his campaign visit to the state. Mr Buhari is seeking a second term in office on the platform of the ruling All Progressive Congress (APC) while Mr Umahi is of the opposition Peoples Democratic Party (PDP). The duo despite belonging to different political parties are in a personal relationship, as the governor puts it lately. 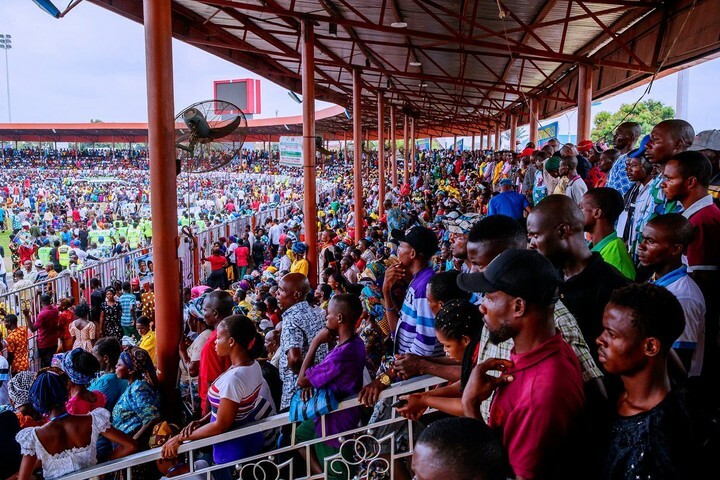 The South East presidential rally of the APC candidate is nothing to write home about. During the president’s visit to most of the state, the campaign venues were empty, those present seems to be only members of his political party. Although the outing in Ebonyi was impressive much more than what was gotten in other states in the region, the state is a known PDP state. According to a report published on Daily Sun, Umahi said although mobilised crowds to welcome the president, they were not happy with the APC flag-bearer. The governor said but not for the respect they accord the office of the president, Mr Buhari would have been booed by those he rented to grace the event. “The crowd you saw there at the stadium, 2,000 of them were from me because I know they have nobody,” the PDP governor said. “But for it not to seem like Ebonyi people don’t love Mr. President, I had to make available 2,000 persons to come and cheer the president. That is why if you check the crowd, while they were castigating me unduly, the crowds were not clapping’, the people were not happy. But for the respect they have for Mr. President, they could have booed them. I had to do what I because I’m not into extreme politics; I’m into politics for development,” the governor said. Mr Buhari during one of his visit to a foreign country was asked why he is being accused of nepotism, he said it was because he got 5% votes from those accusing him of the act as one does not reap where he or she did not sow. In another interview he said he has been fair to the people of the South East region in terms of appointments and infrastructure in the geo-political zone.